It’s no secret that coworking company WeWork cares about design. Just this week, the company named Bjarke Ingels its chief architect, a move that cemented WeWork’s commitment to investing in good design—one that was already well established with projects like a 1920s building in Paris and a onetime opium factory in Shanghai. Today in San Francisco, the company is celebrating creatives more formally at its Creator Awards, a worldwide competition recognizing the best in artists, entrepreneurs, and other types of “creator” who span the fields of technology and design. This year, AD100 designer Kelly Wearstler joins the festivities, participating in one of several “Master Class” sessions touching on different subjects. Wearstler’s class, for which she is joined by Queer Eye‘s Tan France, entrepreneur Kevin Rose, and Creative Live CEO Chase Jarvis, is titled “Designing a BIG Life” and focuses on career growth. Ahead of the event, AD PRO caught up with Wearstler to hear more about her thoughts on design, technology, and the intersections of the two. AD PRO: Why is WeWork a company you’re interested in collaborating with? 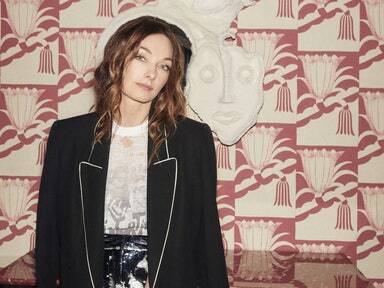 Kelly Wearstler: WeWork has revolutionized the modern-day workplace. They are innovative, strategic, and are helping nurture a new generation of entrepreneurs. AD PRO: The company has redesigned several historic spaces and just named Bjarke Ingels as head architect; why do you think it’s making such big investments in design?